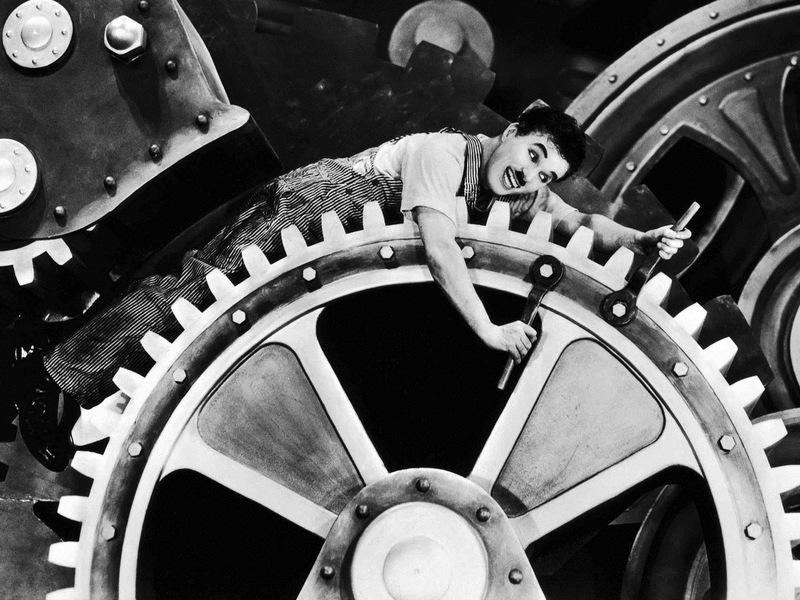 Charlie Chaplin is A Factory Worker, who is driven to a nervous breakdown by his boss, ends up in hospital and shortly afterwards, is mistaken as a communist union leader and is put in jail. After some time, he ends up out again, but was so happy in jail getting three meals a day and being taken care of that he just wants back in. And then he meets A Gamin (Paulette Goddard), (A gamin is a female street urchin) and before too long, they are in love and trying to figure out a life together. It’s a fun film if you like slapstick. The film essentially consists of a series of short, hilarious vignettes. There is an especially creepy moment where, during his breakdown, he chases a young woman in a very sleazy fashion. None of the men around stop him. That’s a bit of a concern. But generally, it’s funny and very worth a watch.